Having mice, rats, or other pests invade your home or business is a serious problem. Pests are more than just an annoyance. They can carry disease. They can destroy property. Mice and rats chewing on wires can be a fire hazard. If you have a business, a customer or inspector catching sight of vermin can lead to fines or even irreparably damage your livelihood. As you know if it’s ever happened to you, getting rid of mice can be a real challenge. Humane traps, glue traps, spring-loaded traps, and poison are a hassle, and they can be dangerous to adults, children, pets, and wildlife. Not to mention the fact that no one likes getting hands-on with mice, whether relocating living mice or disposing of dead ones. Worst of all even if you manage to rid your space of the troublesome, destructive, and disease-carrying rodents, your nightmare may not be over—they can come back! Thankfully, there’s another way: ultrasonic mouse repellers. Due to technological innovations, these helpful gadgets can now keep your home or business safe from the risks posed by dangerous pests—without endangering people or pets. What is an Ultrasonic Mouse Repellant Device? After considering the difficulty of getting rid of mice (not to mention keeping them away), it’s no wonder that a clean, green, safe technological solution has started to gain popularity. Ultrasonic mouse repellant devices convince mice and other pests to go away on their own, and they keep them from coming back! Sounds ideal, right? But do they actually work? How do ultrasonic pest repellers work? The technology behind ultrasonic pest repellers does work, but it is important to find the right device for your purposes (more on this later). For the end user, the set-up process is simple: Plug it in, choose settings (if any), and wait for the pests to flee. But of course, the science behind the device is much more complicated. The idea of using sounds to drive away pests isn’t new. In fact, people have been using visual and auditory devices to drive away bothersome vermin for thousands of years (think scarecrows and windmills). However, today’s high-tech devices have taken this ancient method to a whole new level. “Ultrasonic” sound refers to sounds with frequencies of 20,000 Hz or higher. “Hz” is short for Hertz and measures the frequency/pitch of a sound. A low pitch has a small Hz value, while a high pitch has a large Hz value. Humans can hear sounds between 20 and 20,000 Hz, give or take. This is important because the range of frequencies that are audible differ between species. Rodents can hear much higher frequencies than humans. Ultrasonic mouse repellers work by producing tones which are inaudible to the human ear, but unbearable to mice and rats. Some ultrasonic pest repellent devices use a variety of frequencies to ensure that they repel a wider range of vermin, or to prevent unwanted creatures from developing an immunity to the sound. Do Ultrasonic Repellent Devices Only Repel Mice and Rats? No! These pest repellant devices drive away many types of invasive species, including squirrels and bats. 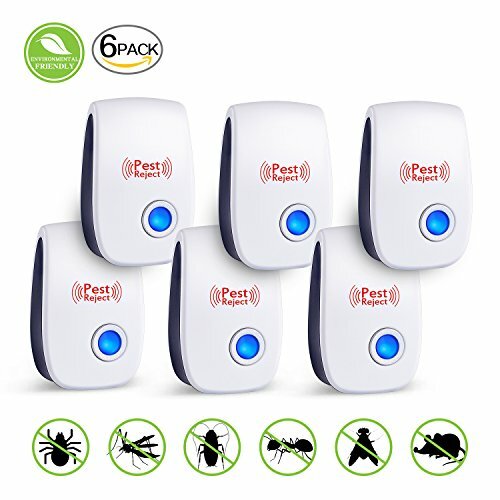 They can also be effective against insects and arachnids—ants, roaches, flies, spiders, and even bedbugs have been known to flee these devices. Are Ultrasonic Rodent Control Devices Dangerous to People or Pets? The great advantage that ultrasonic mouse repellers have over traditional rodent control methods is that they are non-toxic. You no longer have to worry about a child putting their hand in a trap or touching any poison. Ultrasonic mouse repellers won’t hurt you, your dog, cat, or most other household pets. However, do be aware that they can be bothersome to rodents of any kind and some other less common pets, like rabbits, guinea pigs, hamsters, etc. Always carefully read the warnings and instructions that come with ultrasonic devices to ensure they’re safe for your particular pets. Which Ultrasonic Mouse Repeller is Right for You? When choosing the right ultrasonic pest repeller, there are a few different things you should consider. First, not all repellers are suitable for all types of pests. If mice are your only problem, then almost all devices will perform this service as standard. But if you’re also looking to rid your home of specific insect species, make sure to look for this feature in the product description. Second, the active range of pest repellers vary. It’s important to note that in most cases the described range refers to open spaces. So, if you have a 700 square foot apartment that’s divided into four rooms, you still need four different repellers—even those that penetrate walls are not typically effective in adjacent rooms. Some devices use electromagnetic pulses to increase wall penetration for multi-room coverage, however, this only somewhat improves wall penetration and is more useful for penetrating obstructing furniture. The CR008 Advanced Ultrasonic Rodent Repelling System by Clearnth provides a mouse and rat repellant for large spaces with its 7,000-foot radius and powerful electromagnetic waves. The electromagnetic waves are critical to its strategy, as they help it to better penetrate walls. 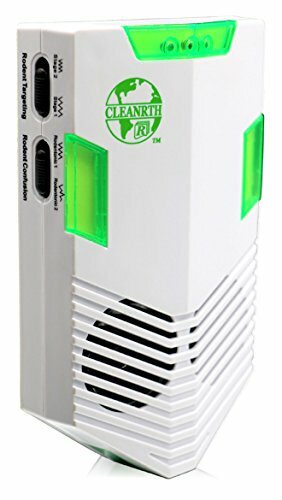 Clearnth’s repeller is especially suitable for persistent or recurrent rodent infestations, as it has multiple settings to prevent local critters from getting accustomed to the sounds. One issue to look out for: While it boasts a very high area of coverage, reviews have noted that it does not work so well outdoors. If you’re looking to protect a garden, you look at different models. Due to its large range, this device is particularly suited for homes with large, open-plan areas where sound can bounce through rooms, providing efficient coverage. It is also ideal for large attic spaces. 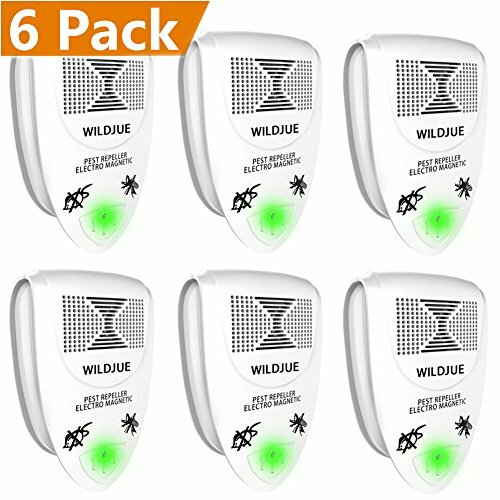 The Ultrasonic Pest Repeller by Wildjue is claimed to repel not only rats and mice but a plethora of other pests as well. It supposedly keeps away bats, spiders, ants, roaches, and other insects. It’s also available in convenient, affordable six packs. Despite this model being in the lower range of influence (80-120 square meters), the multi-packs these repellers come in make it easy to cover your entire home in a safe, non-toxic, rodent-repellent blanket of ultrasound. It should be noted that these repellers don’t have any wall penetrating features, so being behind furniture, etc. can significantly reduce their efficacy. We recommend this product for homes with enclosed small-to-medium-sized rooms. These repellers are cheap and have a short range, so they are ideal for sprinkling around every room. Simple to use. Just space the repellers throughout your home by plugging them into convenient outlets. Focus on potential entry points to your home. Convenient and silent. The ultrasound emitted by these pest repellers isn’t detectable by humans, dogs or cats. Guaranteed. If you don’t see results with your Wildjue Ultrasonic Pest Repellers, contact the company’s customer service. The Ultrasonic Pest Control Repeller by Forsous is claimed to protect your home from a wide variety of pests—mice, spiders, roaches, ants, and even bed bugs. The devices switch up the ultrasonic pulses to keep vermin on their toes. Each small device is stated covers up to 1600 square feet of open space, so an affordable multipack may be sufficient to cover your home. These compact repellers are also fairly environmentally friendly. Even leaving them on all day only consumes 0.096 kWh of electricity—and of course, you won’t be leaving around dangerous traps or chemicals that might harm pets or people. Finally, the price you pay will likely be lower than that of even a single visit from a pest control company. Unfortunately, while designed to repel a large variety of insect and related pests, the efficiency of these repellers may depend on specific species or regions—we found many reviews documenting their failure to protect against roaches, ants, bedbugs, and the like. As each repeller is fairly cheap, we think this product is suited for homes with enclosed medium-sized rooms. Fiery Youth recently upgraded their previous model of Pest Warrior Ultrasonic Electronic Mouse with a new and more powerful chip. It’s now claimed to be effective against dangerous and troublesome pests like cockroaches, mice, rats, spiders, flies, and a multitude of other pests. 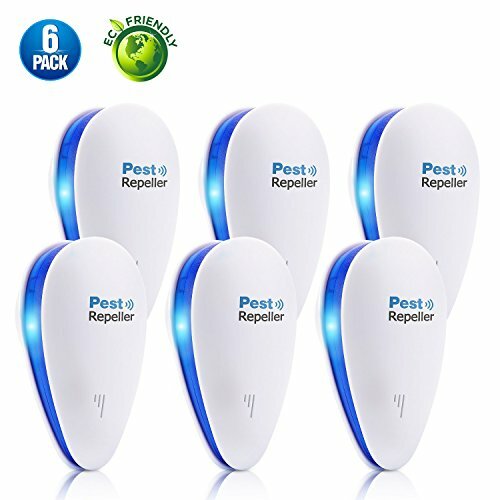 Emitting ultrasonic sounds in 360 degrees, these powerful little repellers are designed to keep your spaces clean and safe from vermin. They also come with Fiery Youth’s ironclad money back guarantee backed by their well-reviewed customer service. When choosing your favorite ultrasonic mouse repeller, take into account the spaces where you’re trying to eliminate rodents. Different devices have different ranges. If you’re concerned about many species, check to see if the device has multiple frequencies. Also, consider your budget, available outlets, and pets. Finally, it’s always a good idea to choose a trusted company with favorable reviews. Companies with a solid reputation usually have the best customer service and often offer guarantees.